In this article, I would like to share the steps to create site column and code to create the site column in SharePoint using JSOM. 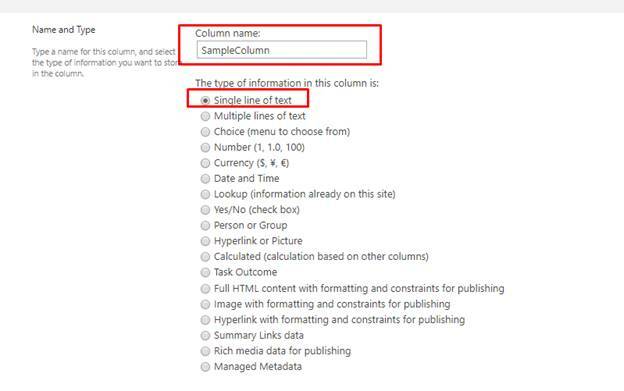 Most of us know how to create column in SharePoint list. In this article, I would like to share the steps to create a site column and code to create the site column in SharePoint using JSOM. 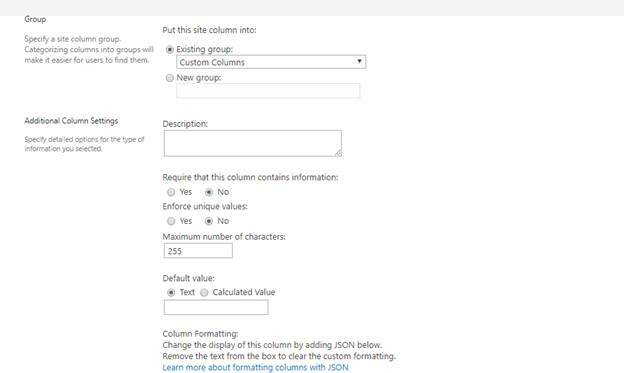 Most of us know how to create a column in a SharePoint list. If we create a field as a site column, we can reuse the column in multiple lists when we need the same data type and column. Multiple data types can be used in a column, such as a single line of text, multi-line of text, person or group, number, dropdown list etc. Follow the below-listed steps to create a site column. Open the SharePoint site on your browser. Then, go to the "Site Settings" page by clicking the gear icon on the site. 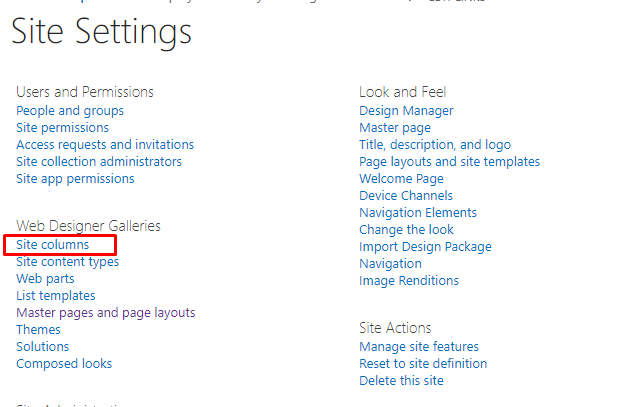 On the Site Settings page, you can see site columns under the “Web Designer galleries” category as shown below. 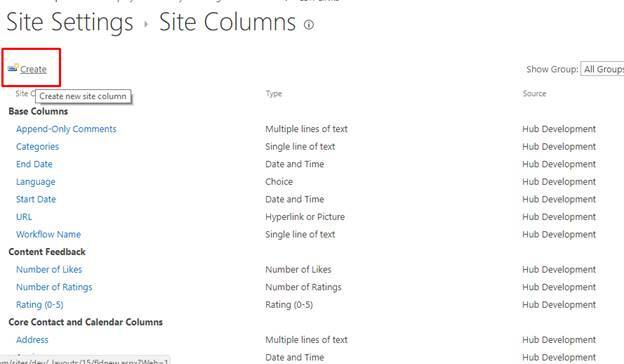 Then, we can create the column in site columns page. Click “Create” button to create a new site column as shown below. On "Create Column" page, provide field name and select the type in “Name and Type” category, as shown below. Then, select the group and additional column settings and click “OK” button to create a new field. Finally, you can see the site field in Custom column group.